Ideal for all those in need of an SOS hydrating treatment, looking to re-hydrate, re-plump and smooth the skin in record time. 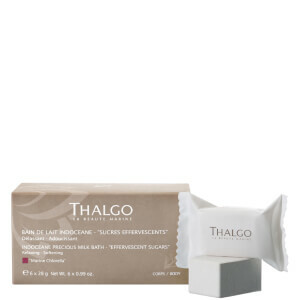 The face regains is softness, suppleness and radiance. Its activity has been measured by corneometry over 24 hours with the following results: Up to +145% hydration 4 hours after application* Up to +109% hydration maintained 8 hours after application* Up to +75 % hydration 24 hours after l’application* * Effectiveness study based on clinical measurement of 10 people's rate of hydration 4 hours, 8 hours and 24 hours following the application. Aqua (Water), Glycereth-26, Peg-8 Dimethicone, Propanediol, Glycerin, Maris Aqua (Sea Water), Hydrolyzed Viola Tricolor Extract, Aloe Barbadensis Leaf Juice, Ppg-26-Buteth-26, Phenoxyethanol, Peg-40 Hydrogenated Castor Oil, Parfum (Fragrance), Chlorphenesin, Sodium Hyaluronate, Yeast Extract, Hydrolyzed Beta-Glucan, Oleic Acid, Sodium Citrate, Ethylhexylglycerin, Sorbitol, Lecithin, Xanthan Gum, Caprylyl Glycol, Disodium Edta, Citric Acid, Potassium Sorbate, Sodium Benzoate, Glyceryl Caprylate, Phenylpropanol, Ci 77491 (Iron Oxides), Limonene, Linalool, Hexyl Cinnamal, Citronellol, Geraniol, Citral.